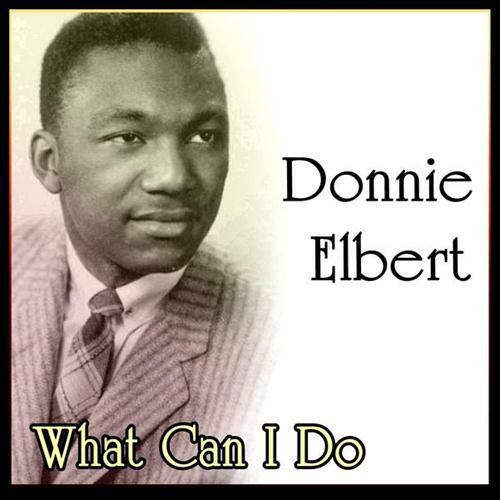 Donnie Elbert (May 25, 1936, New Orleans, Louisiana — January 26, 1989) was an American vocalist, and had a prolific career in the 1950s. His reputation was secured by "A Little Piece Of Leather", a compulsive performance highlighting Elbert's falsetto voice. 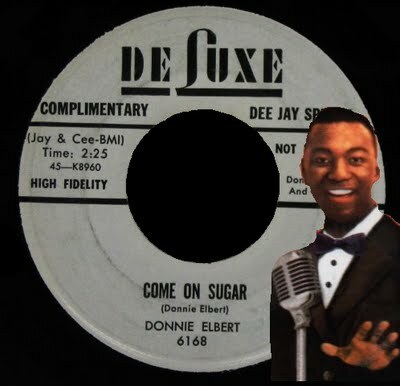 The song became a standard at UK soul clubs, when released on the Sue record label. 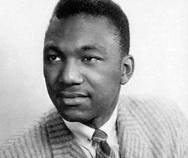 Elbert moved to the UK in the 1960s where he recorded his version of The Supremes' hit "Where Did Our Love Go". It was released on the All Platinum Records label. 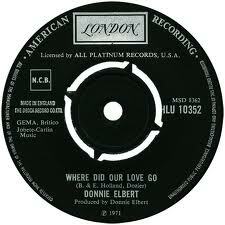 He returned to the U.S. in 1969, before the single reached Number 8 in the UK Singles Chart in 1973. 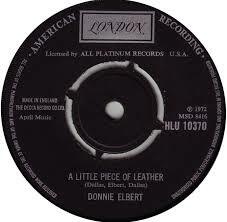 "A Little Piece Of Leather"
By the mid 1980s Elbert had retired from performing, and became director of A&R for Polygram's Canadian division. His reign was not long-lived. Elbert suffered a massive stroke and died in 1989, at the age of 52.